Big plans for Saturday? Not me, as of yet, just chilling! I need a little relaxation! I am really excited for today’s blog! I mentioned on Twitter Thursday night that I made the best hummus ever! 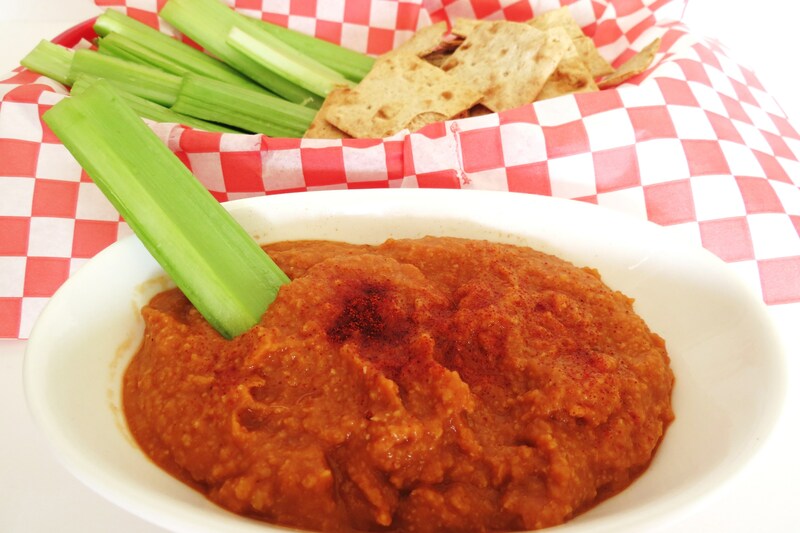 If your a Buffalo Chicken wing fan, then this Hummus is for you! I found this on Food Networks website and I just tweaked it a bit. This is spicy, healthy and really does taste like chicken wings. I love it!! Not to mention I made it in like 5 minutes. I also made these Lavash Chips, which only took about 9 minutes. The chips are most excellent. A full sheet of Lavash bread has 120 calories. I got 25 chips out of one sheet. I brushed it with lime juice and and then added a sprinkle of salt. 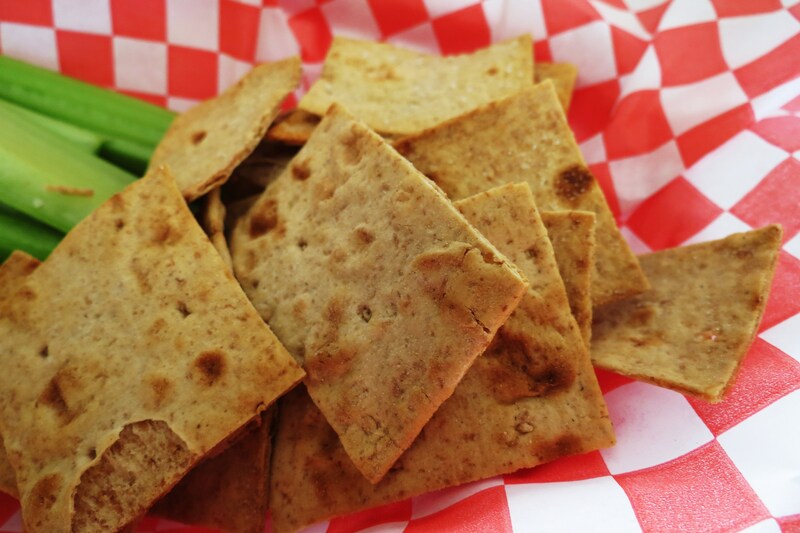 If you never had Lavash Bread, it tastes like pita chips when baked. These two, plus a Corona makes a wonderful match!! 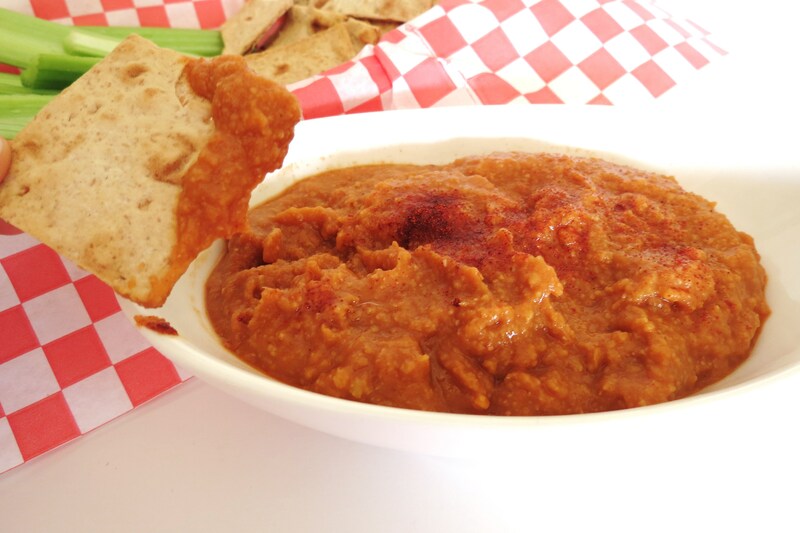 Put the chickpeas, chickpea liquid, garlic, lemon juice, paprika, barbecue sauce, hot sauce, and vinegar in a food processor. Puree until smooth and creamy. Can you believe 40 calories for a 1/4 cup! Awesome!!!! 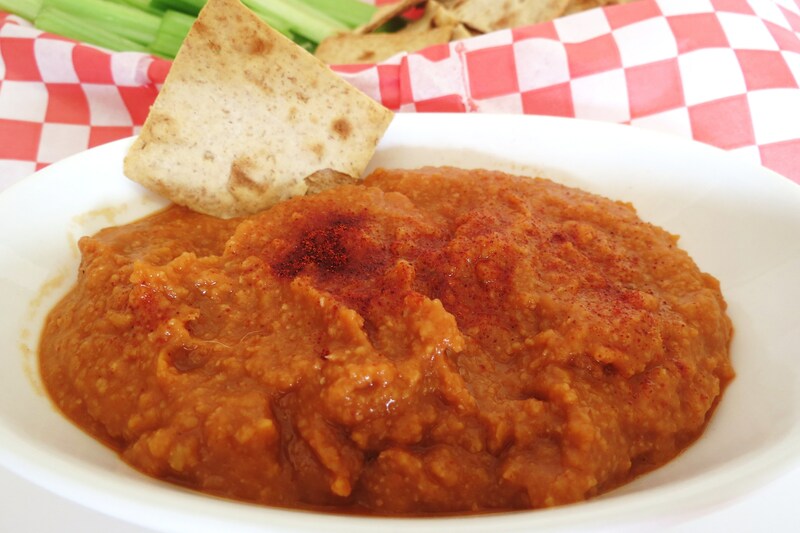 This Hummus would be perfect for a Super Bowl party, plus it would be great on a chicken wrap. 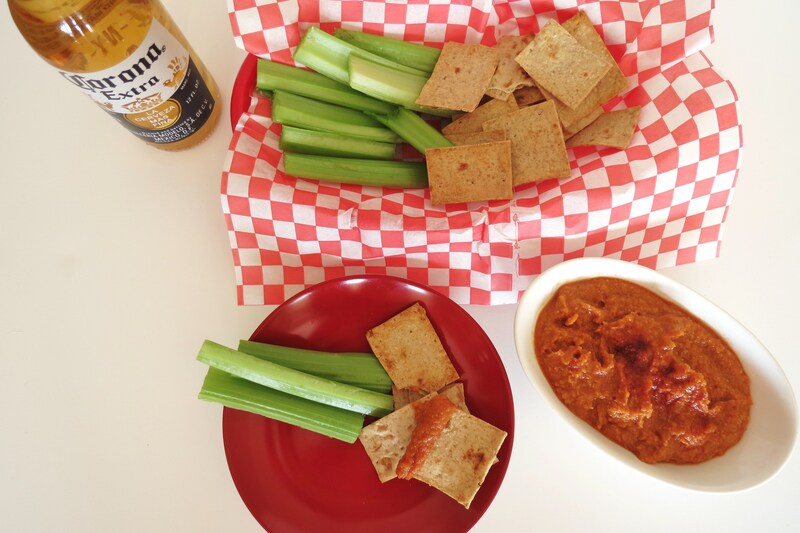 I have been craving Buffalo Chicken Sliders and my Husband hasn’t been in the mood for spicy, so I had to make something that was healthy and I would be able to satisfy my cravings and this hummus did it! I will definitely be putting this in my food rotations! One thing you should know, to get the true Buffalo taste, remember I’m from Buffalo, you need to use FRANKS HOT SAUCE! Thats a must! No other hot sauce will do!! Preheat oven to 350 and line a baking sheet with parchment or non stick aluminum. Spray both sides of Lavash Bread lightly with cooking spray. 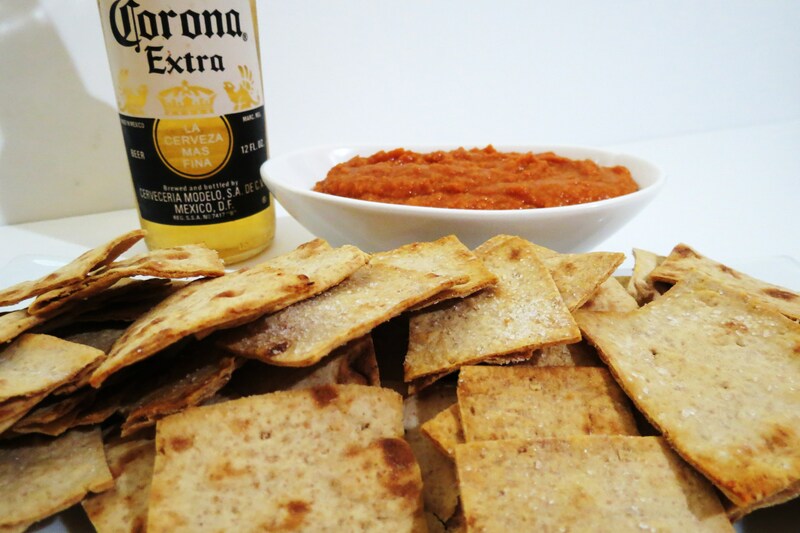 Brush the lime juice to one side of Lavash bread, but don’t saturate the bread, if it gets to soggy it won’t cook right. Cut the bread into 25 equal squares. Lay the squares on baking sheet with the lime juice side facing up. Sprinkle with salt. Place in oven and bake for 5 minutes check them and flip them and cook for another 2 minutes or until crispy. Be sure to watch them the last couple of minutes or they burn fast! Well I have been sticking to my exercises and today I ordered my Chris Freytag 10 Pound Slim Down Xtreme Fitness DVD Program. I was using it when it was On Demand and I miss it. The only place I could order it from was QVC. I miss her kickboxing. It was fun, I got a good sweat on and I felt it working. I am having such a hard time finding a good cardio workout. I have been sticking to my Jackie Warner 30 day Fast Start and I am on week 3, I only missed one day of working out, which is 3 days a week, thats because my workout fell on my root canal day. But other then that I have been on track. Yah!! Time for me to make something for dinner, so I must be going! Have a super fab weekend! Watch a little football, it’s the play offs I believe, and make some Hummus. The football part maybe boring but this Hummus is not!! 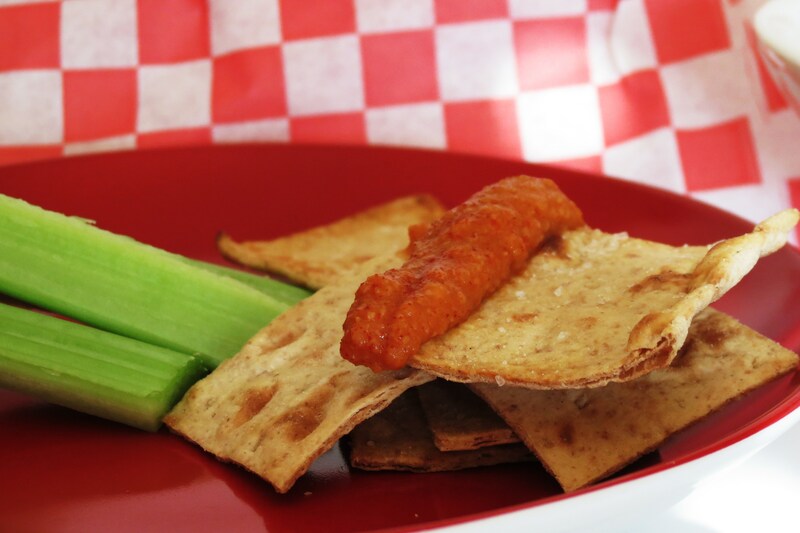 Love the idea of a buffalo wing hummus! Perfect for Super Bowl! Let me know what you think of it! You’ll love it! Oh we love buffalo wings at our house. 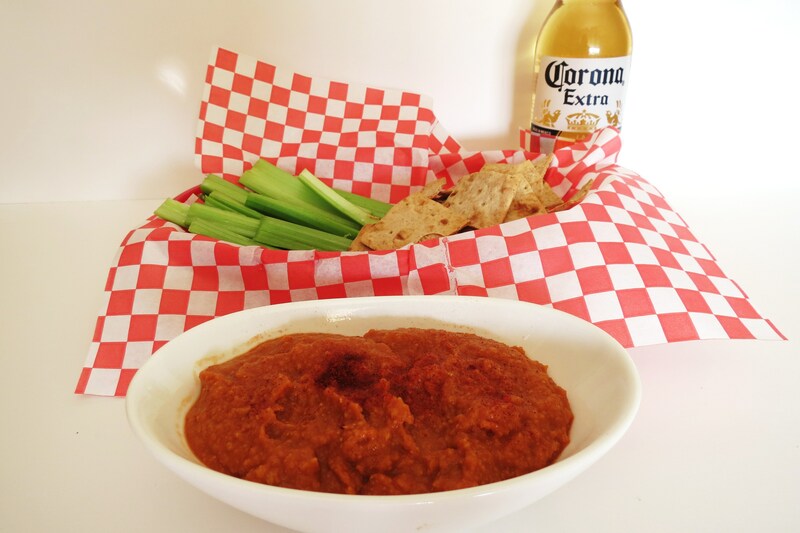 I have to make this hummus recipe for the next big game! Oooh, I love a healthy dip! Perfect for the playoffs…I hope we’ll still have a team to root for after this weekend. Fingers crossed! Happy Saturday, Jennifer! We have a serious buffalo chicken wing addiction at my house. The healthy alternative is seriously something I could go for! PS: I have a giveaway going on now that I think you might be in to! Oh my gosh, this looks and sounds so good! BUFFALO HUMMUS!?!? I think I’ve died and gone to heaven. Everytime I eat hummus I put SO much Frank’s on it–enough that I can’t see the hummus anymore. I can’t wait to make this!! Oh then you must make this! I am Franks obsessed!!! Thanks for having me! I will definitely sign up for Fit and Fabulous Fridays again! I love the idea of it and it makes me be a little better over the weekend! drool! we make hummus occasionally and I never thought to throw in the Franks! Brilliant! Hey Sis! I love this hummus, I ate all of it in two days!! I just love my Franks! 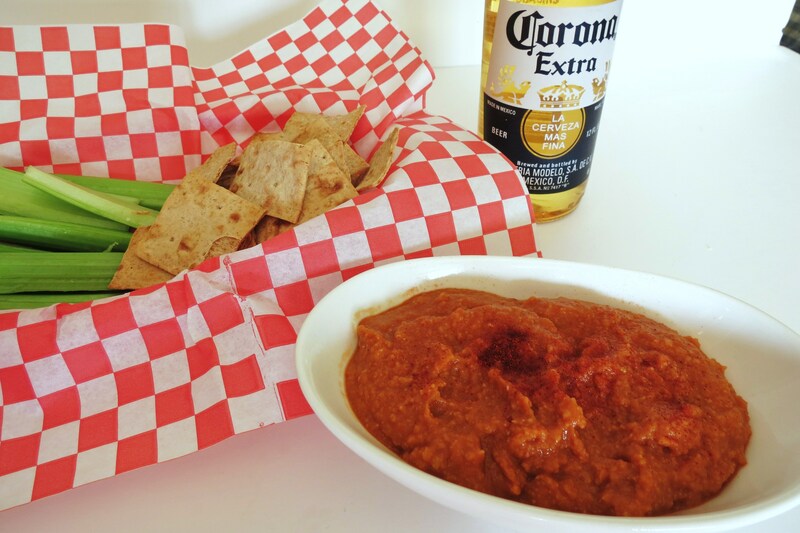 Love that you merged buffalo sauce and hummus. its seriously annoying to read comments on recipes that say oooh cant wait to try this! It would be a lot more helpful if someone would actually try it and tell us if its any good. Hi Ursula, I like when a person tells me how a recipe turned out for them, good or bad. It’s a great way to tell me if the recipe meets your needs or if it does need improvement. Thank you for your comment.